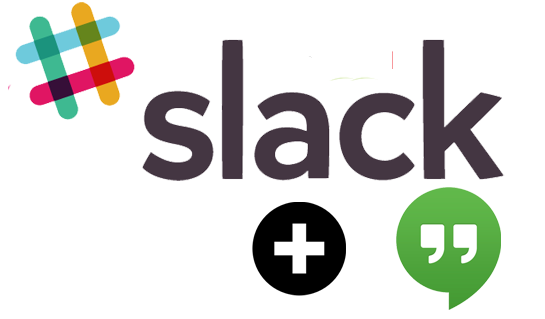 For running teams Slack is far, far, far, better than skype. With one exception video conferencing… it just does not have it. But it has a trick up its sleeve, the google Hangouts integration. There can be a few gotchas though. 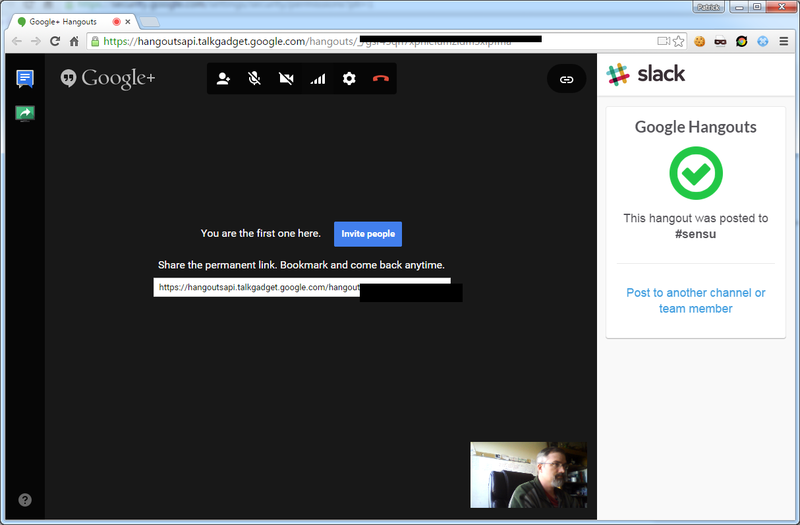 I have long though that google hangouts is far better than Skype, once the hangout has been started…. But Skype is far better for convenience, just click on someone and start a skype call. The google hangouts integration gets you close enough to this to make it work. 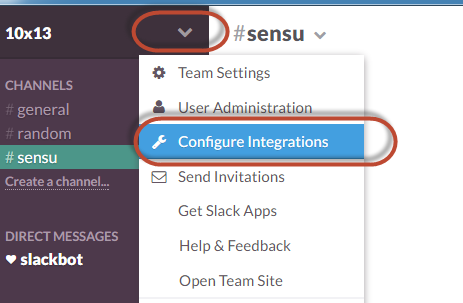 From Slack click on your Team Settings menu and click Configure Integrations. Use the filter to quickly find it. 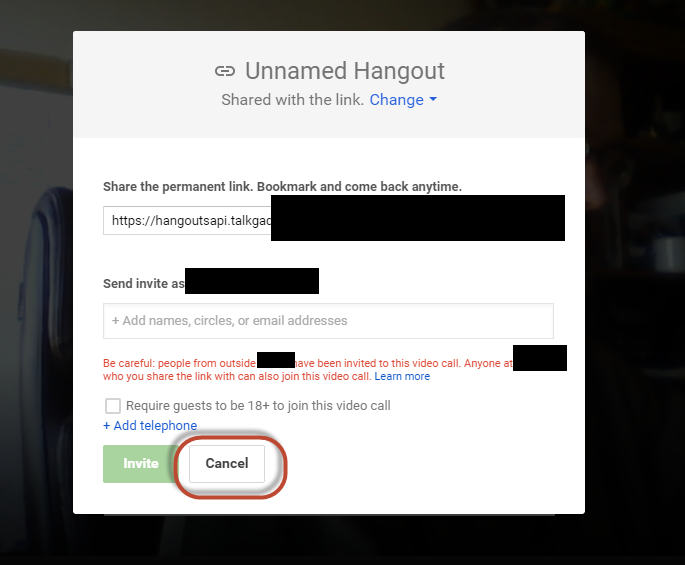 Click Add next to the Google+ Hangouts integration. They give a quick usage guide. 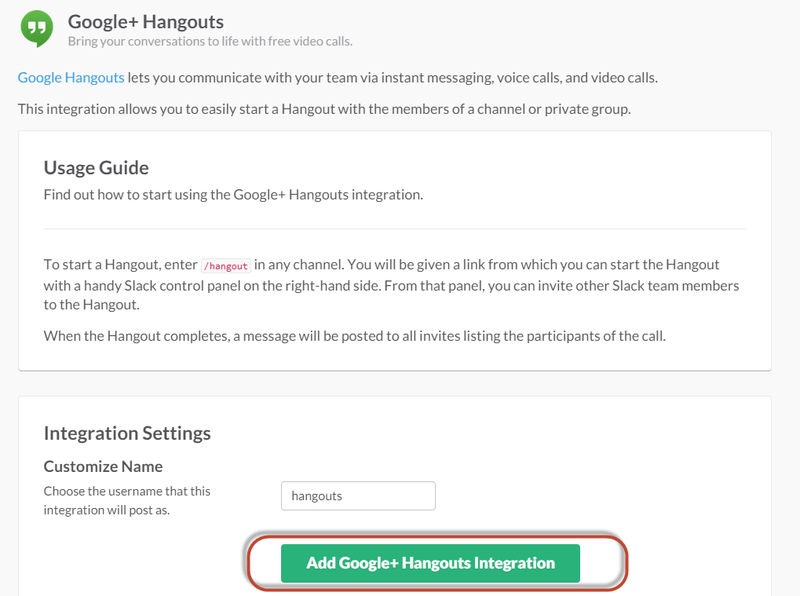 This will create a link that you can click on to create a google hangout. Only you can see this message. Click on the link. This will open a web browser. 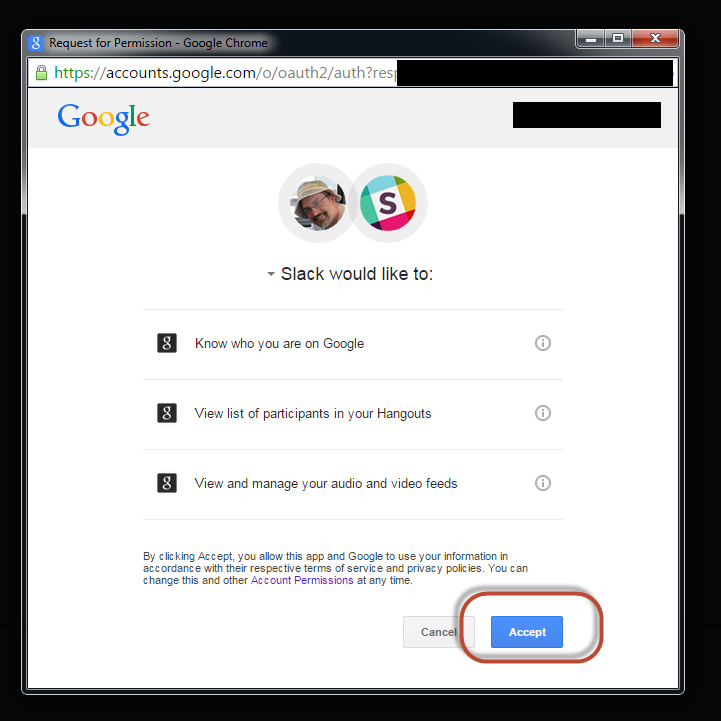 If this is your first time doing this you will need to give Slack Permissions to open a google hangout on your behalf. If you have a paid account, like I do, you may need to allow others outside your organization to have access to your account. Click on Change then allow. 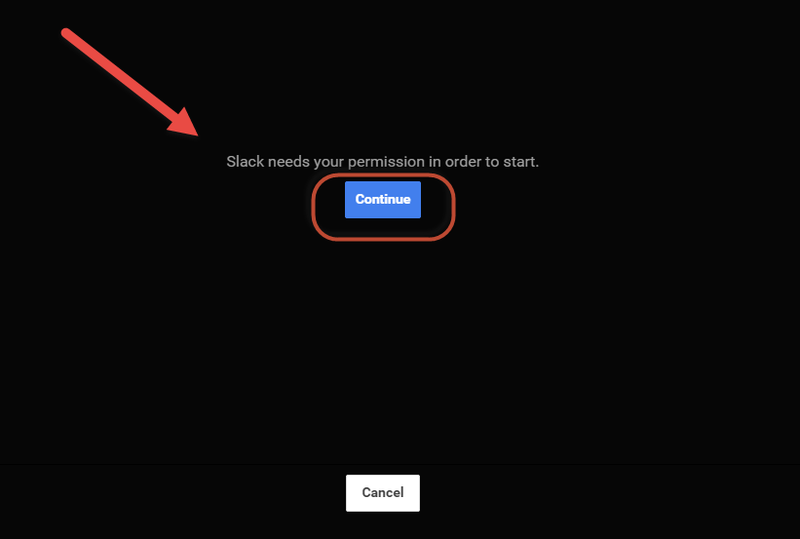 If this is your first time using Slack with hangouts you need to give Slack permission (this is a one time thing). A link is posted to the room where you ran the /hangout command. Anyone can click on it to join the Hangout. J Very nice integration. Hey :) Can you tell me how i can change the google account for hangouts. 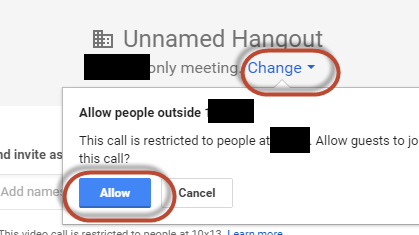 It open every time my business account for hangouts, but i want my private one. For Files the take my private one. Thx. I bet if you log out of your business account on google and log into your private account then run /hangout from hipchat that would work. Hey, I'm guessing this probably wouldn't work for hangouts on air? I have not done a hangout 'on air' But I am guessing no... 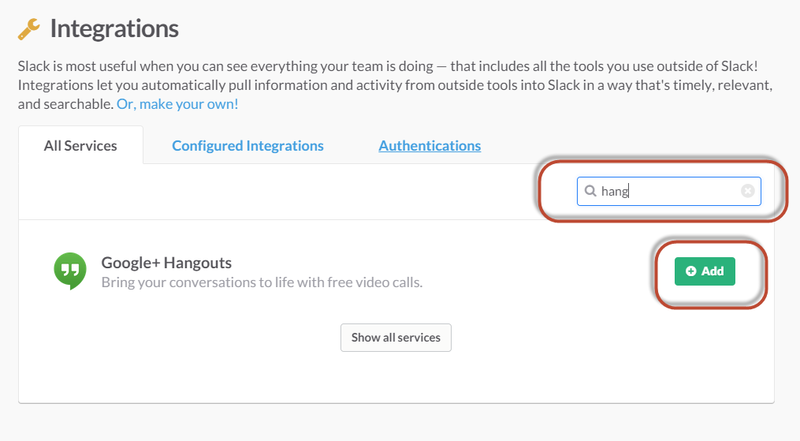 Unless once you open a a hangout from slack you can convert it to an 'On Air' Hangout? If you have a google for work account, there is no need to sign in either. Is there a limit on the number of Slack users that can join a hangout? Also, is it possible to mute all but a few admin users?